If there is one DVD you should get, this is the one. I was put off a little bit by the higher price, but it was well worth it.This double-disc set will change the way you think and play drums. 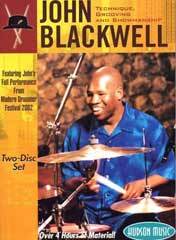 The first disc includes wealth of techniques & tips that's as good as a hundred drum lessons. The techniques for all four limbs will keep you busy for years. Steve is a great musician, and we get to benefit from his life experience and research. All in all, this DVD is decent, but it could be better. John is an entertaining and musical drummer, but he isn't necessarily the best in front of the camera. We get the a bit of the autobiography vibe from this one - he slowly explains where and when he picked up each technique. When he does show us the technique, it is pretty inspiring though. 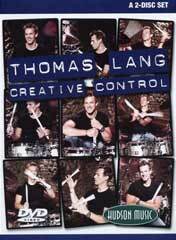 This DVD is useful if you want to get into drum twirling (stickology), and looking really cool when you play. Twirling techniques are surprisingly simple and straightforward to pick up. The DVD's concert footage of John at the Modern Drummer Festival is lots of fun. 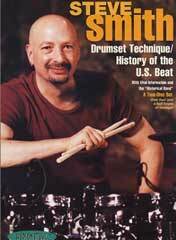 A great addition to Steve Smith's History of US Beat DVD (above). 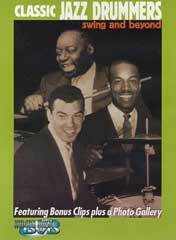 In this collection, you will see how jazz drumming has evolved over time. Note that this is purely a compilation of classic clips, and not an instructional video, but still highly recommended. Highlighted artists are all very unique and interesting to watch. Among my favourites on the video are Lionel Hampton and Philly Joe Jones. Thoma Lang is a very technical player. Recommended for rockers and heavy-metal drummers. He uses a double-bass pedal in his demonstrations, as most of his practice routines incorporate both feet as equals.